As many other beaders, and as it happens every winter, I have been stung again by the knitting bug. 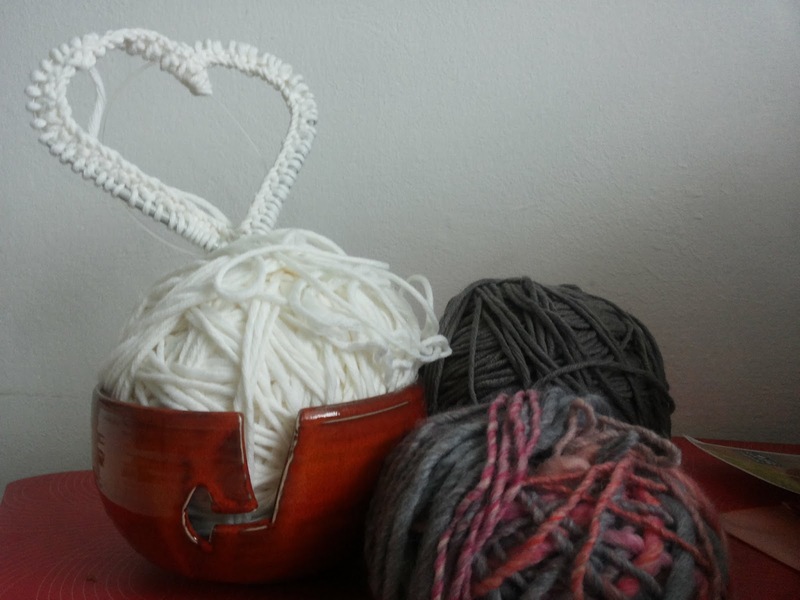 In order to avoid every winter's mistakes - neverending scrolling of Pinterest and Ravelry, lots of euros spent for yarn, lots of unfinished and unworn projects left in the closet - I decided to dedicate myself to easy and stimulating little projects. First one is the amazing Langfield, by Martina Behm. I love her patterns. Who doesn't?! If the self striping yarn and the interesting construction weren't enough to convince you, just know that you don't need to swatch to check your gauge for this hat, so no struggling at all! Just pick any color changing yarn and start knitting. 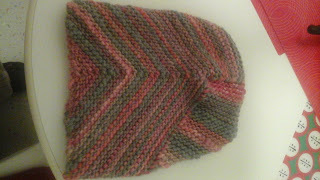 Easiest hat ever, I wear it every day and received so many compliments - also from the lady in the yarn store :). Another one for a guy is on its way! The second project, again from her, is the Hitchhiker shawl. Left in a drawer for almost 2 years, i picked it up again and remembered why paying more money for good needles is always worth it. I am bringing it always with me and hope to finish it before spring comes! 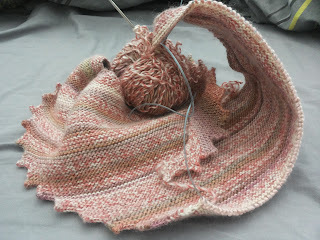 Last one, yeah already too many, another shawl. Hey, not my fault if the yarn store is next to my workplace! It's the Baktus scarf, by Strikkelise. 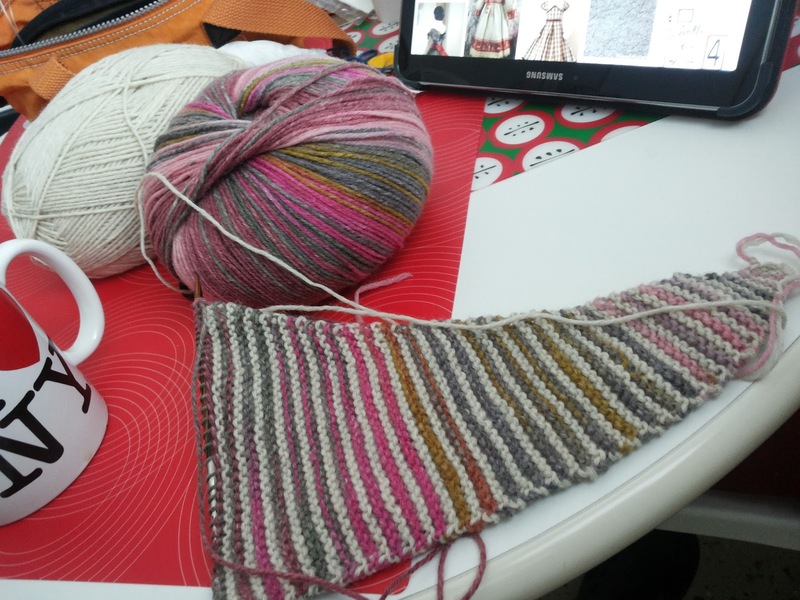 Easiest thing ever, amazing wool that claims to contain jojoba and aloe vera, again self striping and yet "striped" with a neutral tone...if ever finished, will become my pass-partout. It's handmade by Toepferstudio, a Innsbruck based amazing lab/shop. Check out their website! I didn't realize beading and knitting are that close :) I tried knitting once and almost finished a sweater and then I traded it for a finished one with my cousin. It was one of the crafting fits I experienced once in a while in my younger years but never realized I had the crafting bug!